As a business owner, you, of course, want your company to succeed. In today’s economy, that’s not a guarantee. Even with the wedding industry – which is resistant to any change in financial climate – businesses can easily get lost in the vast industry. How can you stand out among the hundreds of other companies offering similar services? Marketing is key, and exhibiting in a bridal show is one marketing strategy that will change the future of your business’s success. Why are bridal shows so great? In a world that’s run by technology and social media, can’t you just advertise online? Well, sure, that’s one way to do it, and yes, you’ll see results from banner ads and wedding website listings. Your website and social media are a great way to make the initial consultation. Brides often research online for trends and vendors before booking appointments. It’s essential to have an online presence to make those first impressions. However, if you want to seal the deal and secure that contract, you need credibility, face-to-face interaction, and exposure. These factors – along with many others – are something that a bridal show will easily give you access to. So what benefits can you expect from exhibiting at a bridal show? It’s vital to choose the right show to exhibit in. Some shows may appeal to budget-conscious or DIY brides, others may market to a region outside of your own. Today’s Bride Shows focuses on Northeast Ohio and will connect you with quality engaged couples in your backyard. These brides are your target audience and they are actively searching for experts like you to help them plan and execute their wedding. By stopping at your booth and having a conversation about your services, you can know whether they are truly interested and how likely you are to get a deposit. Every company needs to continually market their brand, but it’s especially important in the wedding industry. From year to year, you’ll be advertising to and working with a completely different set of couples. Where some industries – like cable companies for instance – work to keep their current clients and grow by reaching more clients, you will constantly have to rebuild and reach new couples every year as others get married and no longer need your services. Today’s Bride Shows helps you meet new brides five times each year. You’ll get to showcase the quality of your products or services in person, making your company more visible, accessible, and recognized by both industry professionals and your target audience. When you exhibit with a Today’s Bride Show, you’ll also get more exposure by being listed on our website in our show exhibitor list and with a vendor profile page. You have the opportunity to be included in exclusive show content – show preview guide and Pink Stuff-It Bag program – as well as included in our email blasts to over 10,000 brides and shared on social media. You’ll have an experienced and respected friend help you advance and market your services. What’s better than that? want to exhibit in a bridal show? We can help! Most likely, your competition is already exhibiting in bridal shows, which is just making you look bad…and overlooked. When you’re out of sight, you’re out of mind. Your competition is meeting with and selling to hundreds of brides in just a few hours while you’re responding to a single quote request. If your competitors are doing it, why wouldn’t you? Plus, by exhibiting in the same or similar shows, you can see what your competitors offer or how they stand out to potential customers. Maybe they’ve invested in the latest technology or offer free cake tastings. What are they doing that you could also do, or maybe even do better? Showing alongside your competitor doesn’t have to be a negative experience. You can work together to bounce ideas off of and share experiences. Maybe you’re considering offering silk flower bouquets along with fresh flowers but another florist has had a bad experience and can give you advice. The question is: if your competition is doing it – and succeeding – then what’s holding you back? Or, if your competition isn’t doing it, why wouldn’t you want to do something that makes you stand apart from them? If your business is just starting out, you need to make a name for yourself. You need to become recognized in the industry by other professionals and known to prospective clients. Bridal Shows are a great way to do that. Not only will you market your business to potential customers and become more well-known in the area, but you’ll gain more credibility with other industry professionals who have been in the business for years. Anyone can start a shop on Etsy designing invitations, but you’ll become a reputable and credible invitation and stationery stylist by exhibiting in a Today’s Bride Show. And by becoming reputable and credible, you’ll seem more knowledgeable to prospective clients. 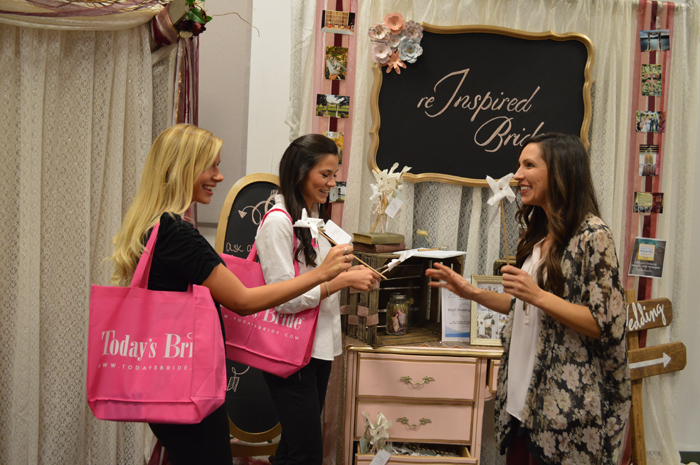 To gain credibility with local professionals at a bridal show, you need to network. You are surrounded by dozens of experienced, knowledgeable professionals who have been in this industry for years. Why not take advantage of it? Share ideas, give advice, take suggestions, listen to stories, learn what to avoid and what to do, consider a partnership or collaboration, and meet new friends! Knowing someone in your profession – or even just the wedding industry in Northeast Ohio – will make your life so much easier when it comes to running a business. Not sure what printing service is best? Want to redesign your site but not sure who to hire? Want to suggest some vendors to a bride you’re meeting with? 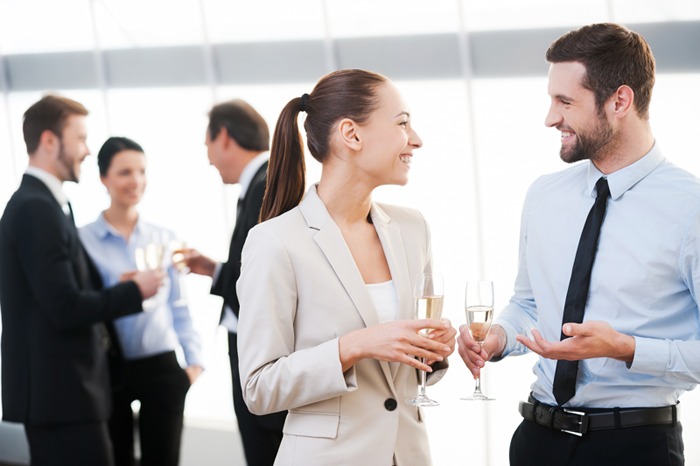 Having connections is so important to becoming a credible wedding resource. Plus, they can help you market, too! If they like your work, they’ll refer you to brides and clients they meet with; that’s free marketing for your business! Bridal Shows are an amazing resource to take advantage of when you’re starting your business or if you think your business can do better than it currently is. They market to your target audience and introduce you to promising leads, increase your exposure and credibility, and help you network with other industry professionals. Check out our upcoming show dates to book your booth space.